We strive to offer a great customer service and buying experience here at OC Carz. please email your personal experience to aj@OCUsedCarz.com. Hi Reza it's Steve I wanted to tell you Thank you! For everything. And especially a Great vehicle. 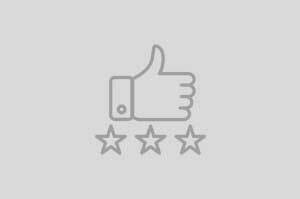 If I can comment on your website I will put two thumbs up for you. And if I hear of anyone buying I'm sending them to you first. Thanks again Reza. Hi Reza, Thank you so much for working with us on getting us our car and helping me to feel safe again. I have told my friends how nice you were and they are all impressed with the car and specially with the good price. Thank you once again. My experience purchase a used car from OC CARZ were very professional that he promise will finds the ways to get me approved . The same day I got my car. I had have been research different used cars that they can not approve me because my credit score very low. People at OC CARZ dealer are honest and will strives to get your business. DEAR REZA: I WOULD LIKE TO THANK THE GREAT PEOPLE AT "OC CARZ OF SANTA ANA" AGAIN FOR THE KIND AND THOUGHTFUL SERVICE. ESPECIALLY THE OWNER "REZA BROOMAND." HE IS A REAL GENTLEMAN FOR GOING OUT OF HIS WAY TO HAVE US PICKED UP. THAT WAS GOING ABOVE AND BEYOND WHAT IS NORMALLY REQUIRED. WE TRULY APPRECIATE THE EXTRA EFFORT. REZA REALLY CAME THROUGH FOR US WITH A TERRIFIC CAR, AT AN AMAZING PRICE. ALL CARS ARE PUT THROUGH A 52 POINT INSPECTION, WHICH INCLUDES A THREE MONTH OR 3,000 MILE POWER TRAIN WARRANTY WITH A $0.00 DEDUCTIBLE ! THE CAR IS LIKE BRAND NEW, AND WE REALLY ENJOYED DRIVING IT HOME. IT'S A VERY SMOOTH AND QUITE RIDE. WE JUST BUT A NICE JAZZ CD IN THE TRAY AND SAT BACK. THE CAR PRACTICALLY DRIVES ITS SELF. I CANNOT RATE THIS DEALERSHIP ANY HIGHER. 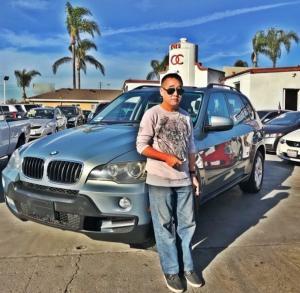 THE PEOPLE AT "OC CARZ OF SANTA ANA" ARE VERY PROFESSIONAL AND ASKING IF YOU ARE SATISFIED. THERE IS NO HIGH PRESURE TO BUY. YOU ARE LEFT ALONE TO CHOOSE FROM A GREAT INVENTORY, EVERY VEHICLE IS IN PERFECT SHAPE, AND THE PRICES ARE AMAZING. I LOVE THE CAR I BOUGHT, AND I LOVE THE PRICE. SEE REZA FIRST, YOU WILL BE VERY HAPPY YOU DID. IT'S THE SMART THING TO DO! HAPPY CUSTOMER, BRENT C.
Awesome experience By Meghan M from San Diego, CA | December 28, 2014. Reza at OC Carz is fantastic. He made the car buying process quick and easy, and was able to get me financing, even though my credit is far from perfect. He was helpful, patient as I drove up from San Diego, and even called me the next day to follow up on the car, and be sure we had all of the loose ends wrapped up. I'd gladly recommend Reza and OC Carz to anyone! Thank you Reza! 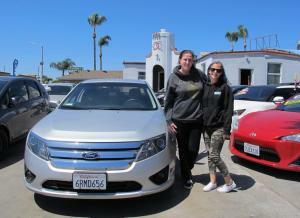 "We had a good experience at OC Used Carz . No pushy salesman, they were nice and willing to work with us. It also didn't take all day to do the paperwork. Thanks guys" - Andy, Vista, ca. I recently purchased a 2004 Mercedes C240 from OC Used Cars that I found through Cars.com. I was very pleased with the quick reply and communication with OC Used Cars.They were very friendly and accommodating with all my conces and needs and made me feel very comfortable. The price was negotiable and the vehicle was in great shape as advertised. I highly recommend buying from OC Used Cars and would definitely buy from they again in the future. Sincerely Jen. I was approved to purchase a used Mercedes-Benz from a CARMAX lot in San Diego. On the day I was supposed to drive the car off the lot, my husband found a better deal for a newer Mercedes-Benz at a lower cost and with less miles at the OC Carz lot in Santa Ana. After driving the almost 2 hours from San Diego, I was assisted by Jorge who took me on my test drive. Jorge was extremely friendly and answered ever single question about the car that I had, I NEVER once felt like he was just trying to clear the lot by making a sale. To top it off, the financing was AMAZING! AJ, the owner, worked his magic by getting me a very good loan with a fair interest rate. I arrived at OC Carz with a prior bankruptcy and no money down. I ended up driving away with a beautiful (new to me) slick black Mercedes-Benz with a low monthly payment, low mileage and 5 year extended warranty, As I said, I never felt pressured to buy this car and I will absolutely recommend OC CARZ to anyone who is looking for a great deal on a used car. The customer service provided by Reza is beyond exceptional. He really does goes above and beyond to give you pure customer service satisfaction. I strongly recommend this place to anyone looking for used vehicles! Best car dealership in Orange County! When you go to most dealerships you come across the feeling that the sales men are only there to get that sale in from you. They aren't there to genuinely help assist you find the perfect car for yourself nor work with you to ensure that dream car will be yours. Here at Oc Used Carz you come across the most genuine and down to earth owner, Reza, along with his awesome co-worker. I recently just purchased my new 2015 Hyundai Elantra form Reza and it was the smoothest and most hassle free experience I have received from a dealership. I'm also a first time buyer which has always made the process difficult... Well at least my past experiences trying to get a car with other dealerships were just a headache. Reza was able to work with me and within just a few hours the car was mine! I couldn't be any happier and I recommend to definitely go here and check em out!! You won't be disappointed and you'll be headache free! Not to mention the cars here are affordable, low mileage, and in prime condition! Just bought my first car online (sorta) in my life. I've been searching for a very specific car (2005 Honda Element Ex AWD in But Orange) for over 4 months now. After striking out left and right I decided to broaden my search to include Vegas and SoCal. I got a perfect hit on OC Carz for exactly what I was looking for and used a web form to ask if the car was still available. Moe called/emailed back right away and was really awesome to work with. He is very personable and professional with a relaxed style to him. If I wanted the car I knew I had to get on a plane and commit so needless to say I probably asked 1m questions but Moe and Reza always stayed attentive and pleasant. Long story short I rolled the dice, booked a 1-way flight to Santa Anna and Moe was there to pick me up at the airport in my "maybe" new ride. Everything they said, including what was right and wrong with the car was spot on. The car was spotless inside and out including a perfect carfax and autocheck. The purchase was as smooth and easy as could be and soon I was cruisin 6 hours on my way back home to AZ. Considering OC Carz had me somewhat over a barrel the minute they knew I was 1-way flying, they sure stayed honest and responsive through the whole process. They even text to make sure everything was fine with the car on the ride home. Good people for sure and I could not recommend them enough. Moe and Reza - Thanks for a great experience! 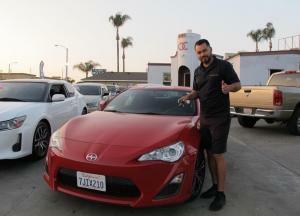 We visited OC Carz the first week of August looking for a car for our college-age son and we're quickly met by Moe Reyes. After a couple of test drives we had narrowed our choice down to the car we wanted but just weren't able to come to the terms we both wanted. That's how it goes sometimes. But the one thing I will say is Moe is really easy to work with,a no-pressure guy with a great sense of customer service. Jeff C.
Moe was super helpful, he listened to exactly what I wanted/needed and got me into the perfect car! Best customer service I have ever experienced! Even when you think that you could not possibly get approved due to your previous credit issues, they still find a way to work with you as long as of course you are putting your part in as well. Dealing with Moe was pleasant and he was upright and knowledgeable on the cars that he was selling. Reza is the man for helping me out and making things happen after I decided what car I wanted to go with. 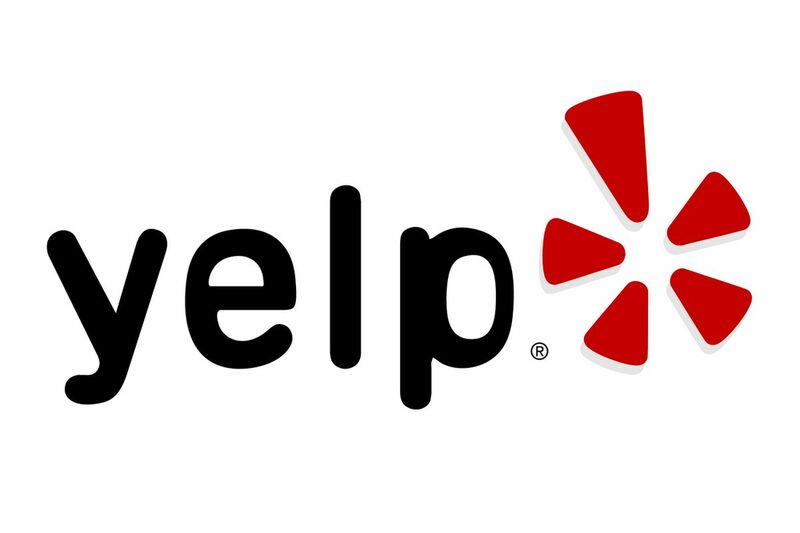 Would definitely recommend as they are there to help and they have a good selection of cars that are reliable. Thanks, Guys! I recently went to O.C Carz almost a week ago in hopes of buying my first car w/ not so great credit. I was referred to Reza by a friend, & boy I couldn’t of asked for a better person to help ! He did everything he could & then beyond to make sure I didn’t leave there empty handed! He was totally professional & a joy to be around! I ended up leaving w/ a 2014 Hyundai Sonata that drives like it’s riding on clouds. I’m so thankful for this wonderful dealership & REZA!! you won’t leave disappointed. -Taelor O.